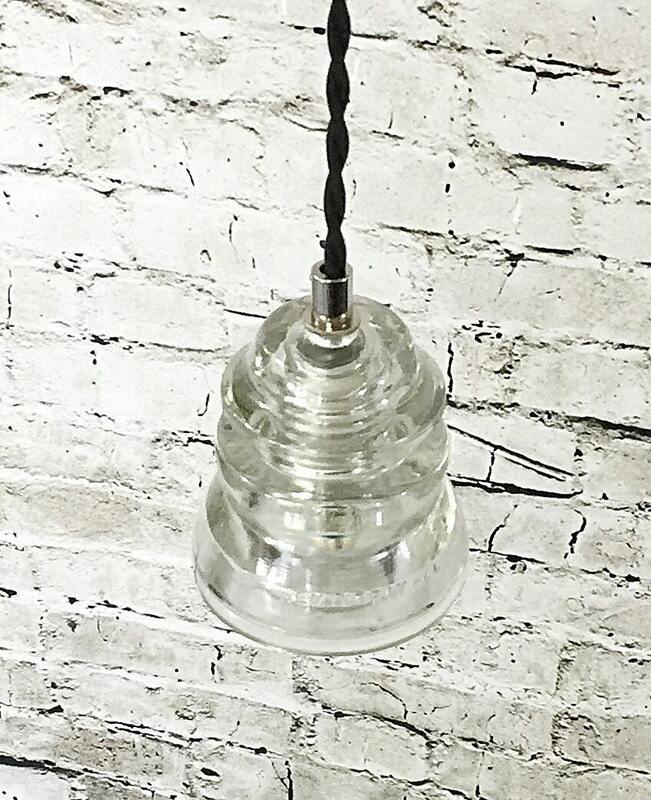 Handmade LED Glass Insulator Pendant Light is crafted with beautiful Hemingray 45 vintage glass insulator, black vintage style cloth covered wire, polished nickel hardware and ceiling canopy. 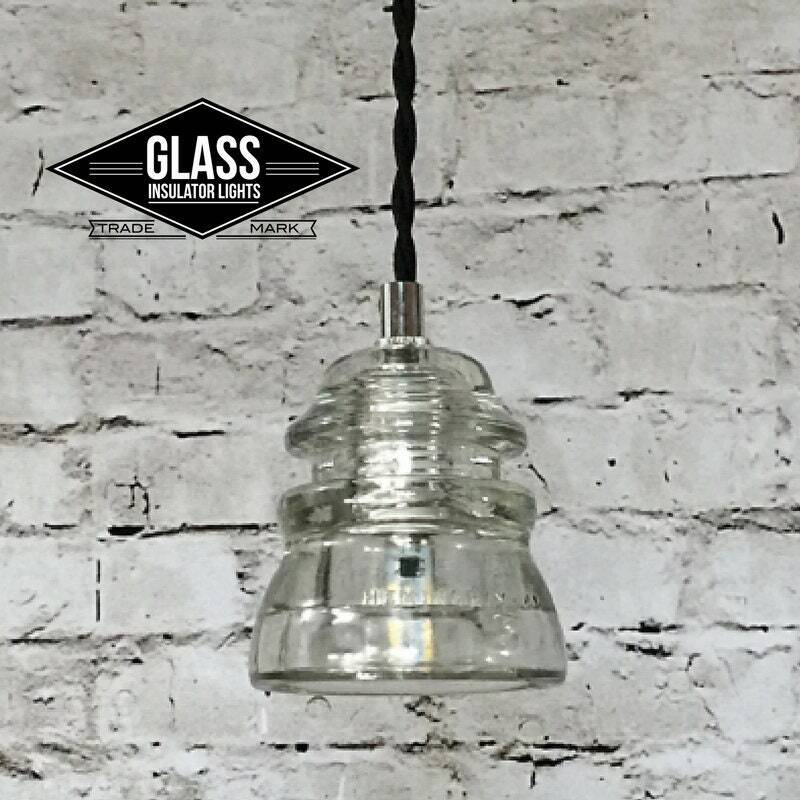 Repurposed vintage glass insulators make the perfect pendant light shade eliminates a gorgeous glow. 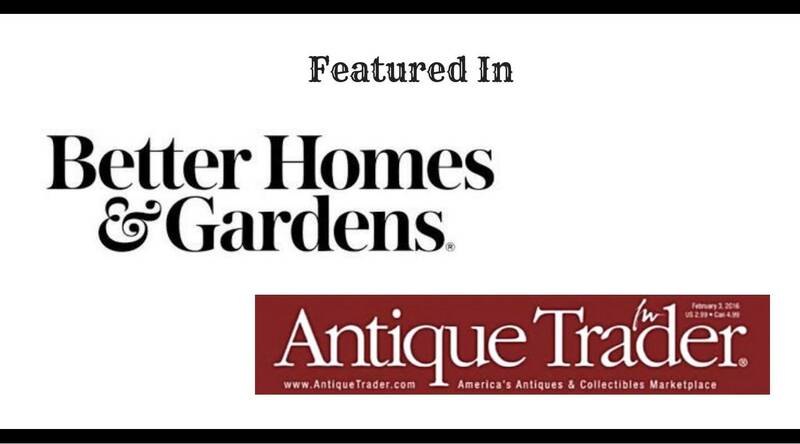 It's vintage charm makes it the perfect decorative piece for any home. 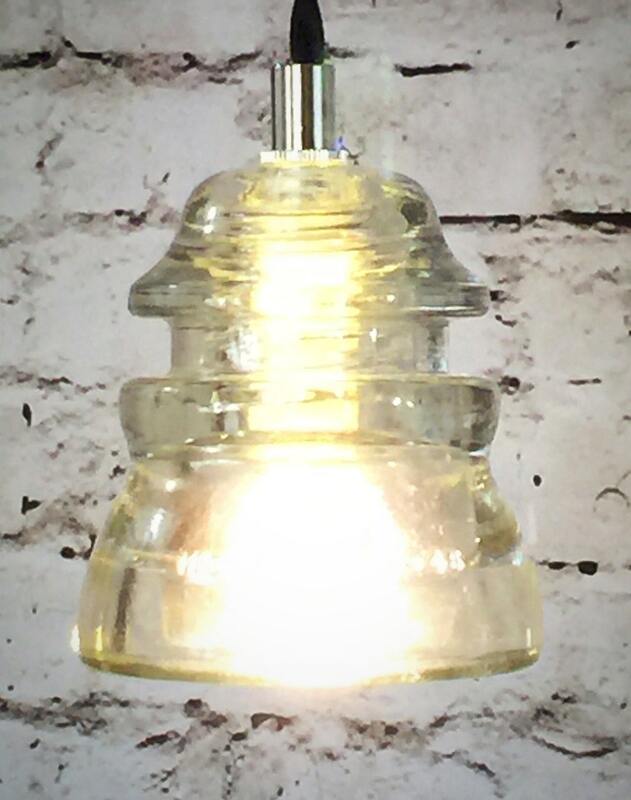 This is a newly made piece in excellent condition. 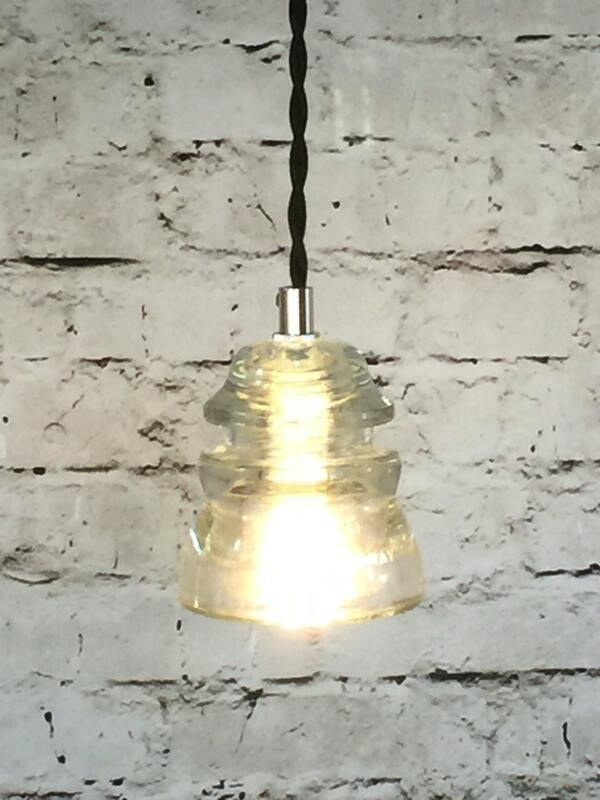 Hand-made from vintage railroad telegraph insulators and new UL Listed pendant light parts. 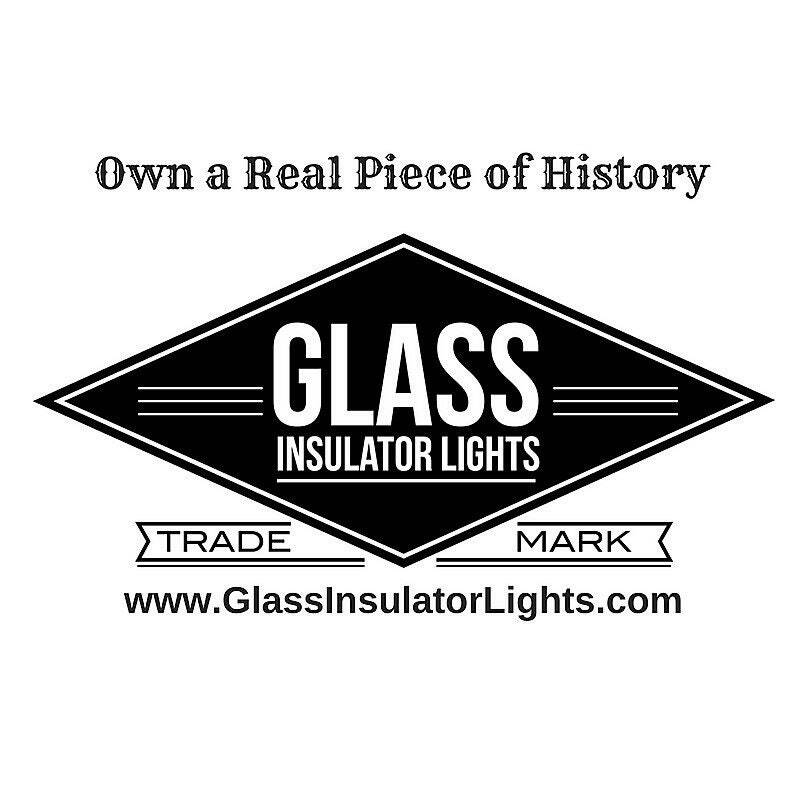 • Arrives with everything you need and ready to install. 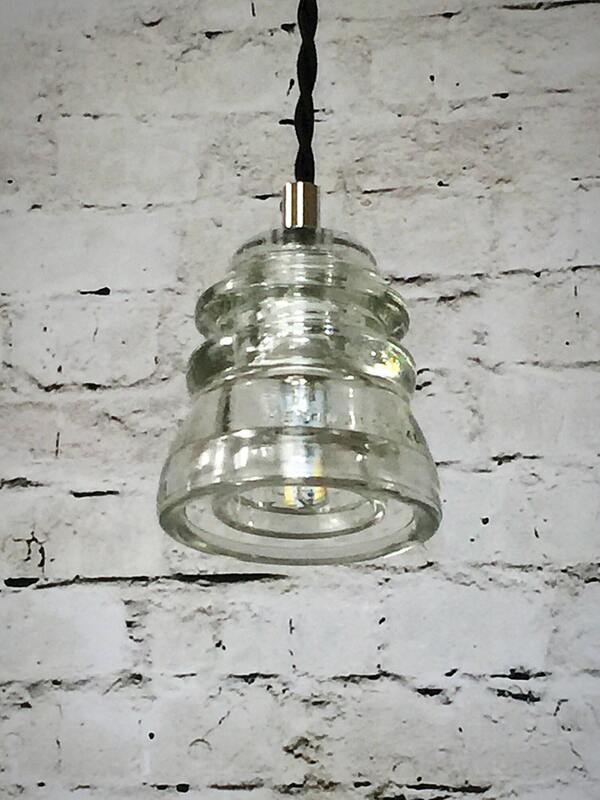 Track Light Fitters can be added to all our pendant lights. 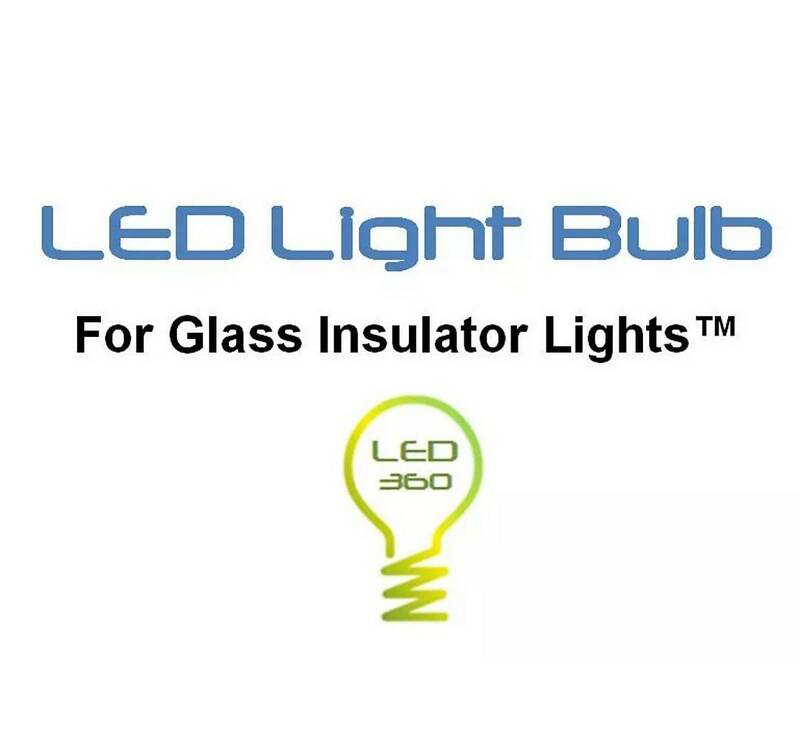 Fitters allow for adjustment of wire length and include the LED bulb. 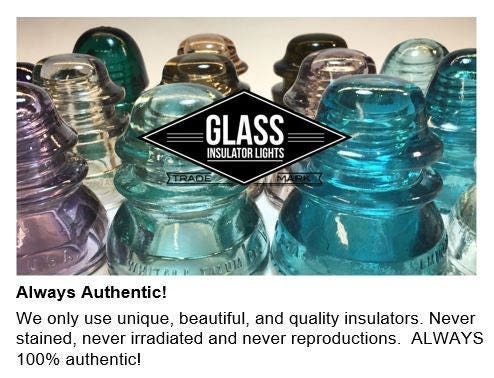 Insulators have been hand cleaned and polished to an unbelievable shine. They have NO chips and NO cracks. Excellent Vintage Condition!